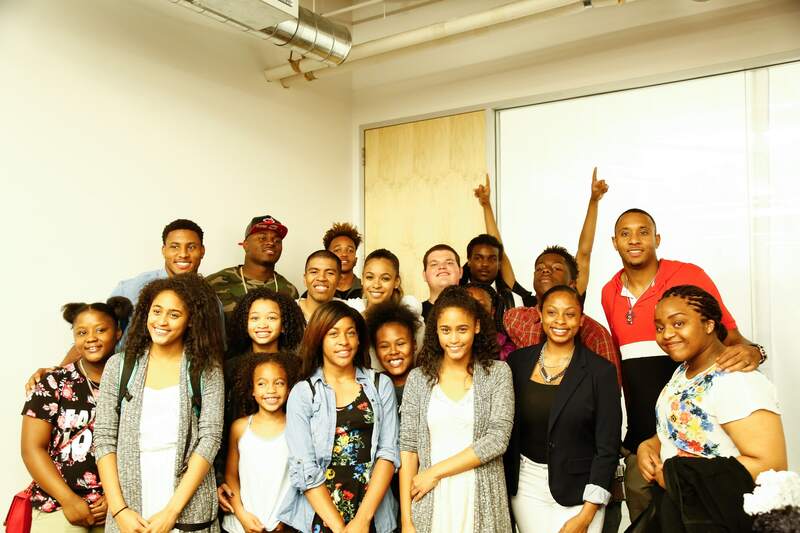 Winning team from the competition, Neighborhood HOA got 3 months of free PR from JSY PR & Marketing AND the Oakland Raiders and 2013 Super Bowl MVP Malcolm Smith did a promo video and social media campaign for the company as part of the PR campaign. Post-competition after party that was DJed by DJ Walt Liquor from Q102.1 with wide selection of drinks and hors d’oeuvres. Celebrity guests included SF Giants’ Hunter Pence, Matt Duffy, George Kontos, Former SF Giant Dusty Baker, Golden State Warrior Festus Ezeli, Former Golden StateWarrior Adonal Foyle, Former 49ers Dana Stubblefield & Dennis Brown, Denver Broncos TJ Ward, and more. Music Benefit featuring Four #1 Hit Country Songwriters performing and over ten Tennessee Titans at the event, including former Titans Great Eddie George. Raising money for the Root 53 Foundation, which provides hands-on learning workshops through Middle Tennessee. Guests enjoyed the famous Riffs Catering and drinks by Tito’s Handmade Vodka, Triple Crown Whiskey and Jackalope Brewery, who all donated product and food to the event. Extensive raffle and silent auction items. Cocktail Competition Fundraiser featuring 7 of SF’s Best Bartenders from Burritt Room + Tavern, Comstock Saloon, Rickhouse, etc, and SF Giants Star Hunter Pence. Sponsored by Anchor Distilling Company. Included full buffett dinner, open bar, wine pouring and more. Emceed by Miss California, and featured Celebrity Judges Chef Nolan of 25 Lusk, NBA Star Robin Lopez and JT Snow. Chili Cook-Off Featuring Celebrities Ben Flajnik from the Bachelor, former SF Giants Rich Aurilia and famed vintner Dan Kosta, Chef Michael Mina and Chef Charlie Palmer. Emceed by PAC-12 Studio Host Ashley Adamson. 120 Guests enjoyed the new Mystic Hotel by Charlie Palmer’s Berlinetta event space. Served special Burritt Room + Tavern appetizers and desserts to guests, as well as had Chili tastings by the contestants throughout the venue. Open Bar including special Burritt Room + Tavern cocktails, local wines and beers. Celebrity charity golf event, featuring host Jerry Rice. Included a celebrity per golf team, including former 49ers Dana Stubblefield, Coach Shaw, Warriors Jeremy Tyler, actress Aimee Garcia. Delicious Food and Drink on the Holes, from wine and whisky tastings with Glenrothes to Massage Envy chair massages, hole-in-one prizes, tacos by Kung Fu Tacos and food and drink by Dave N’ Busters. Breakfast and Awards Lunch; great gift bags and prizes, such as Jawbone Speakers. 18 Golf Teams at the Blackhawk Lakeside Course. Scotch Tasting Fundraiser Event for London Breed (now current District 5 Supervisor), who was running for District 5 Supervisor. Wine, scotch tasting, mixed cocktail and snack experience. Special tastings at the bar, with a tasting panel of the finest scotch options. Craft Cocktail Bartender personally took the participants through a tour of each scotch describing tasting notes, how to taste, smell and analyze the spirit. Intermission with speakers and spoken word performance. Book Release Party For #ENDURANCE Tweet and Fireside Chat with SF 49er Larry Grant. Created gift bag giveaways for each of the attendees comprised of various items geared towards endurance, from Zico Coconut Water to Power Bars. All proceeds benefited Pencils for Promise Charity. Catering by Milk and Honey. Specialty cocktails provided by Burritt Room + Tavern. Organized a celebrity charity bowling event to raise money for NBA Player Gary Forbes Foundation. Included seeking sponsorship for all 10 bowling teams, securing gift bag items and working with Brooklyn Bowl to handle all logisitics. Secured a number of celebrities to attend event, including NBA Player JR Smith, Celebrity Chef Sam Talbot and Fashion Designer Stacy Igel. Handled all press outreach and on-site, garnering over 15 outlets for coverage, including ESPN, local TV, Getty Images. Organized, Managed and Executed Youth Football Camp in Sacramento for 300+ Kids, 50+ Coaches and 30+ Volunteers for 3 years in a row. Arranged for 10 NFL Pros to come in to be guest “Coaches” at the football camp. Built a registration website and payment system, obtained sponsorships, secured donations for gift bag items for kids, designed and printed t-shirts and more. Arranged for evening events for NFL Pros and VIPs of Camp on Friday and Saturday evenings. Golf Classic Hosted by Baseball Great JT Snow. Included a celebrity per golf team, including former Baseball Hall-of-Famer Joe Morgan, Coach Shaw, Warriors Jeremy Tyler, actress Aimee Garcia. Delicious Food and Drink on the Holes, from wine and whisky tastings with Anchor Distillery, hole-in-one prizes, tacos by Kung Fu Tacos and food and drink by Dave N’ Busters.